Our pace/efficiency tables show how each team is attacked in various game situations as well as how effective they are in defending those situations. 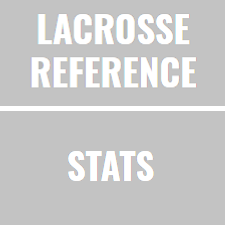 The table is split into three sections based on how the opponent’s possession starts: a defensive stop, any other ground ball, or a faceoff. The ‘Seconds’ column shows how quickly, on average, the offense takes the first shot (for those possessions that include a shot). The ‘Efficiency’ column shows the percentage of possessions that end with a goal (includes all possessions, even those that did not include a shot). The rank values show where each team ranks for pace or efficiency within that subset of possession types. (Obviously, for the defense, the lower the efficiency, the better.) Note: there may be some minor discrepancies in the counts in this table (1% in either direction); this is related to fishy play-by-play data that has been excluded due to accuracy concerns.